The reach of the Foreign Corrupt Practices Act (FCPA) extends to companies and individuals. One example of the breadth and significance of FCPA prosecutions is found in the federal government’s investigation of Alstom S.A., a French power and transportation company that includes in its holdings Alstom Power Inc., a Connecticut corporation. Investigations into allegations concerning Alstom-connected briberies have been conducted by various countries, including the U.S., for at least a decade. In 2014, Alstom S.A. agreed to pay a record $772 million in criminal penalties in a settlement with the Department of Justice (DOJ) relating to bribery activities in the Bahamas, Egypt, Indonesia, and Saudi Arabia. Nine countries assisted the U.S. in the investigation. There is, however, some statutory limitation in the reach of the FCPA. On August 24, 2018, the Second Circuit issued its ruling in United States v. Hoskins, holding that the DOJ could not invoke theories of conspiracy or complicity to charge a foreign national who committed no illegal acts on American soil as an agent in violation of the FCPA. The court observed that, unless they commit crimes within the U.S. or its territories, foreign nationals who are not agents, employees, officers, directors or shareholders of American companies are not subject to liability under the FCPA. On one hand, Hoskins imposes new restraints upon the extraterritorial reach of the FCPA. On the other hand, it reaffirms the potential liability of foreign agents of American companies, regardless of whether those agents act on American soil or abroad. As with any other implication arising under the FCPA, this eventuality should command the attention not only of foreign agents, but also of the principals that they serve: under established doctrines of U.S. agency law, the principal answers for the sins of the agent (in many cases, even if the principal is unaware of those sins). Lawrence Hoskins, a U.K. citizen who worked in France, was an employee of the U.K. subsidiary of Alstom S.A. According to the DOJ, a U.S. subsidiary of Alstom S.A. hired two consultants to bribe Indonesian officials in exchange for influence and assistance in securing a lucrative government contract. The DOJ alleged that Mr. Hoskins, while working for the U.K. subsidiary in France, authorized payments to the consultants knowing that portions of those payments were earmarked for the bribes. Relying upon Mr. Hoskins’ emails and telephone calls with other alleged schemers who worked in the U.S. as employees of the U.S. subsidiary, the DOJ charged Mr. Hoskins with, among other things, conspiring to violate the FCPA. The first count of the indictment against Hoskins alleged that, as an agent of the U.S. subsidiary, he committed acts that violated the FCPA. The second object of that alleged conspiracy was that, separate and apart from that agency relationship, Hoskins conspired with the U.S. subsidiary, its employees, and foreign persons to violate the FCPA, and aided and abetted their violations. In his motion to dismiss the conspiracy charge, Mr. Hoskins argued that liability under the FCPA is limited to specific, enumerated groups of people, and that none of those groups captures a foreign national and alleged co-conspirator who is not an agent of an American company and who committed no crimes on American soil. The DOJ retorted that Mr. Hoskins’ communications with the co-conspirators rendered him an agent of the U.S. subsidiary, which brought him within the umbra of the FCPA. The district court granted the motion in part, dismissing the conspiracy count to the extent that it: 1) sought to charge Mr. Hoskins with conspiring to violate the FCPA without demonstrating that one of the enumerated groups applied to him; and 2) alleged that Mr. Hoskins conspired to violate the FCPA by committing acts within the U.S. or its territories. However, the district court declined to dismiss the DOJ’s claim that Mr. Hoskins was an agent of the U.S. subsidiary. The DOJ appealed the district court’s rulings. foreign persons (including foreign nationals and most foreign companies) not within any of the aforementioned categories who violate the FCPA while present in the U.S. or its territories. 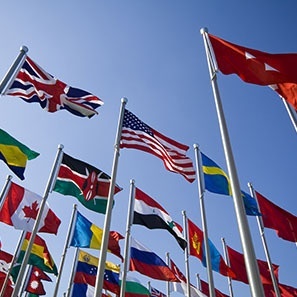 The court noted a “single, obvious omission” from this list: foreign nationals who act outside the U.S. or its territories, but who do not act on behalf of an American person or company as an officer, director, employee, agent or stockholder. The court determined that the DOJ’s conspiracy allegation did not place Mr. Hoskins within any of the four aforementioned categories. In other words, even if Mr. Hoskins conspired to engage in bribery, his status as a co-conspirator, by itself, would not render him: 1) an American citizen, resident or national; 2) an American company; 3) an agent acting on behalf of an American company; or 4) a foreign person who violated the FCPA while in the U.S. or its territories. Instead, absent proof that he was an agent of the U.S. subsidiary, Mr. Hoskins would fall within the “single, obvious omission” from the list, and he would be outside the jurisdiction of the FCPA. Although Hoskins might allay some concerns regarding the extraterritorial reach of the FCPA, the case also evinces a growing appetite within the U.S. government for enforcement of the FCPA. American and overseas companies with international footprints should heed at least one warning from Hoskins: the DOJ and the U.S. Securities and Exchange Commission are testing the outer limits of the FCPA, and the scope of their interest is expanding. If you would like to discuss how the FCPA could affect your company, or if you are interested in learning how to comply with the FCPA, please contact Jay Shapiro (shapiroj@whiteandwilliams.com; 212.714.3063), Patrick Devine (devinep@whiteandwilliams.com; 215.864.6272), or another member of the International Group.